Justin Winter Sotheby's International Realty has represented buyers and sellers of distinctive homes and land in the beautiful upstate of South Carolina since 2004. We focus on communities and luxury real estate surrounding Lake Keowee, one of North America’s most pristine lakes. Set in the foothills of the Blue Ridge Mountains, Lake Keowee is an ideal destination for boating, fishing, swimming, sightseeing, and general recreation. The Lake Keowee area is dotted with numerous amenity communities, such as The Cliffs at Keowee Vineyards, The Cliffs at Keowee Falls, The Cliffs at Keowee Springs, and The Reserve at Lake Keowee along its northern shores, and Keowee Key in its central region. Award-winning golf courses, wellness/fitness centers, resort-style pools, tennis complexes, fine and casual dining venues, and miles of walking trails are some of the many amenities found here. Local towns offer shopping and healthcare, while the metropolitan areas of Greenville, Atlanta, Charlotte, and Asheville are within easy reach. Clemson University is minutes away. Our associates own property, are club members, and live in the communities we serve. We provide unparalleled knowledge and vision based on our extensive personal and professional experience. Our local expertise, combined with the strength of Sotheby’s, one of the world’s most recognized brands, uniquely positions us—and our clients—for success. Why Choose Justin Winter Sotheby's International Realty? For over 13 years, Justin Winter Sotheby’s International Realty has represented buyers and sellers of distinctive real estate in The Reserve and Cliffs Communities and the Lake Keowee greater surrounding area. In 2018, we expanded our coverage throughout Lake Keowee. 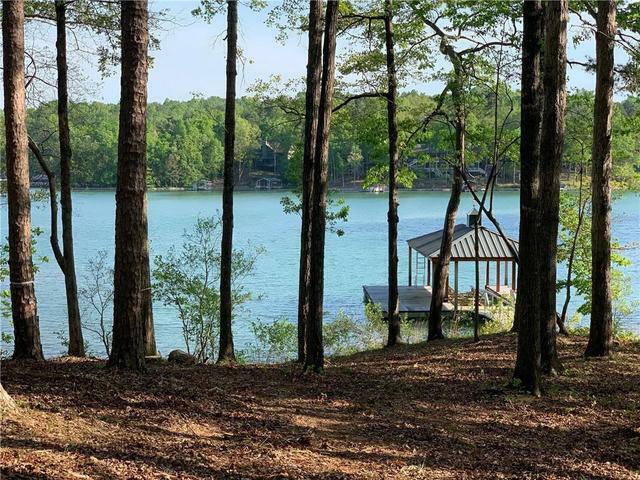 Whether you are looking for homes for sale, or home sites, our associates are able to help you navigate all areas of Lake Keowee. We offer our clients regional and community expertise and the connectivity of relationships with property owners, coupled with the resources available to an international organization. Our Associates are property owners and members in the communities we serve, and are therefore intimately familiar with the membership and HOA rules, amenities, guidelines, and personal attributes of each neighborhood. In 2016, Justin Winter was one of South Carolina’s TOP FIVE selling real estate agents. Our reputation is one of achieving record-setting results, year after year. We hold the sales record for the HIGHEST PRICED home sold on Lake Keowee and MLS (listing and selling). We hold the sales record for the HIGHEST PRICED home sold in The Cliffs at Keowee Vineyards ($4.85 million - 2015). We hold the sales record for the HIGHEST PRICED home sold in The Cliffs at Keowee Falls ($3.35 million - 2018). We hold the sales record for the HIGHEST PRICED home sold in The Reserve at Lake Keowee ($3.215 million - 2017). We hold the sales record for the HIGHEST PRICED home site sold in The Reserve at Lake Keowee ($1.7 million). We hold the sales record for the HIGHEST PRICED home site sold in The Cliffs at Keowee Vineyards since 2007 ($860k - 2018). We hold the sales record for the HIGHEST PRICED home site sold in The Cliffs at Keowee Falls ($1.4 million - 2014). We have the HIGHEST AVERAGE TRANSACTION PRICE in our MLS once again in 2018 (average per transaction — $900,000+). We have been the #1 Selling Real Estate Team on Lake Keowee for the years 2006-2018. We dominate the luxury home market for listings, with market share approaching 70% for homes priced over 1.5m dollars. As of December 21st, 2018 per Western Upstate Multiple Listing Service. When you select Justin Winter Sotheby’s International Realty, you choose the strength of the Sotheby’s International Realty brand and the worldwide recognition and prestige of the Sotheby’s name, which has been marketing the world’s most cherished possessions since 1744. Sotheby’s International Realty encompasses over 800 offices and 18,000 agents in 53 countries. Sotheby’s International Realty emphasizes brand exclusivity, cutting-edge advertising technologies, strategic positioning, social traffic drivers, video content integration, and exclusive agreements with the world’s most influential media partners to successfully connect with a global consumer. Whether you’re searching for a new lake home or listing your current property, our team has the knowledge and business acumen to ensure a successful outcome—and we’re just a click or call away. Contact us today for independent thinking and objective advice, or use the menu options above to browse Lake Keowee properties homes and real estate for sale.